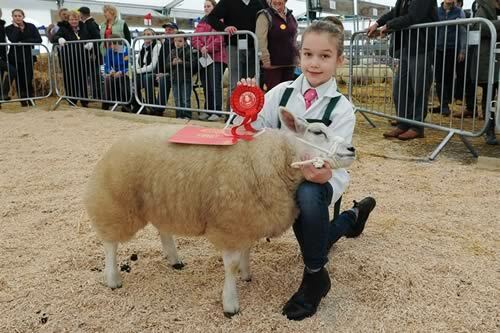 The little sister of the Great Yorkshire Show takes place at Harrogate on Saturday 18 and Sunday 19 October with classes for cattle, sheep and horses, as well as poultry, pigeons and honey. Some 172 cattle will come before the judges at the Great Yorkshire Showground, 311 sheep (a record number), and 331 entries across the equine section. The honey section has special cause for celebration with an all-time best of 259. The packed programme includes firm favourites as well as some new additions. For the first time there will be mountain bike displays, pony rides are a new feature, and the popular Northern Show Cross equine competition takes place over both days rather than just one, and in the Main Ring. Graham and Tina Fletcher will again be putting the “Search for a Talented Showjumper” competitors through their paces, whilst dog agility displays, falconry and the entertaining One Man and His Pig competition are also on the timetable. Countryside Live was born in 2003 from the trauma of Foot and Mouth epidemic when many summer events, including the Great Yorkshire Show, had to be cancelled. Its aim, to increase knowledge and understanding of farming and rural life remains at the heart of the event. An important element of the weekend will be the live debates, organised by the Future Farmers of Yorkshire, which will focus on the joys and challenges of working in the industry. The debate takes place at 12.30pm, Saturday 18 October in the Beef Ring in Hall 1. All are welcome.